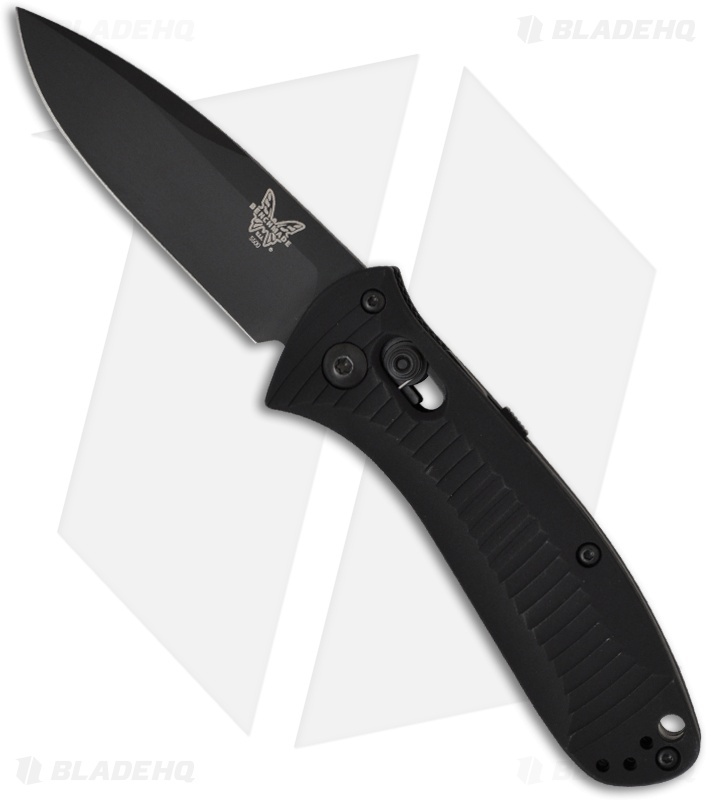 The Benchmade Mini-Presidio small automatic knife series utilizes the Auto-AXIS lock system, which makes the knife easier and faster to open and close. It is automatic, just pull the AXIS lock down and the blade opens automatically. The Auto Presidio also has an integrated safety slide on the spine to promote safe use. The 5500BK Mini Presidio has a 154CM stainless steel blade with a BK black finish and plain cutting edge. The handle features black anodized 6061 T-6 aluminum scales over 420J stainless steel liners. The machined ribs add grip-ability to the already well contoured handle. 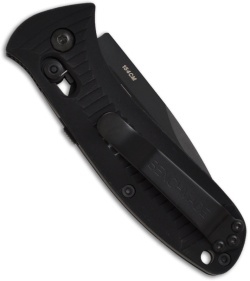 The tip-up pocket clip can be reversed for right or left handed carry. Overall this is an excellent knife with a great feel and weight, it's something you could trust your life with.